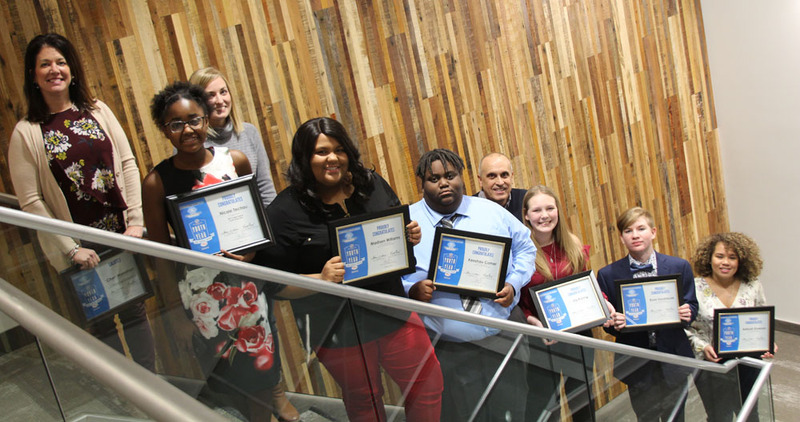 The competition was steep on Friday, February 1st at the Boys & Girls Clubs of Cedar Rapids' annual Youth of the Year Competition! Three of our Rotarians; Cheri Monahan, Joe Schmit and Laura Seyfer; had the tough job of choosing the best competitor to represent Cedar Rapids for 2019! Six teens participated including: Aaliyah Emerson, Kenshau Comer, Lily Kisling, Madi Williams, Nicole Techau, and Ryan Vondracek. The competitors were judged in the areas of public speaking, essay writing, completeness of application and their interview skills. In the end, Nicole Techau was chosen to represent Cedar Rapids at the State of Iowa Youth of the Year Competition in March. If Nicole is selected as the State of Iowa Youth of the Year, she will advance to the Regional competition which is held in July in Chicago and potentially onto the National Competition in Washington DC in September. 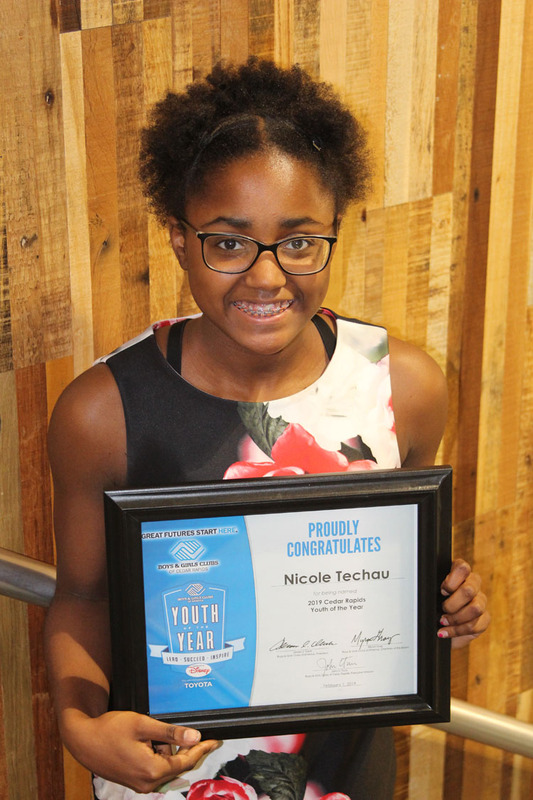 The Youth of the Year program is Boys & Girls Clubs of America’s premier recognition program, celebrating the extraordinary achievements of Club members. Each year, one exceptional young person from a Boys & Girls Club rises to the role of National Youth of the Year. The National Youth of the Year serves as both an exemplary ambassador for Boys & Girls Club youth and as a strong voice for all of our nation’s young people. The journey to being named National Youth of the Year begins locally and progresses to state, regional and national levels.